The first Cesari era title has arrived! Brescia wins the Italian Cup and writes the most beautiful page of its recent history, after a heart-stopping final against a Napoli fighter. In fact, extra time is needed to get the best out of the 3-2 parts, after the 90 'have closed on the 2-2; and to mark the network of success was once again the "Queen of Cup" Daniela Sabatino, who closes the brilliant blue-white season with thirty goals (22 in the league and 8 in the Italian Cup). Read more: The first Cesari era title has arrived! After the 2-2 of the regulations he decides a goal by Sabatino. The Neapolitans have played on par against the fourth team of the series A.
Napoli Napoli's dream, Carpisa Yamamay, who lost the Italian Cup final against Brescia at the end of a match played against a Serie A formation, was added to the extra. The final 3-2 matured in the first extra time, after the regular times had closed on the 2-2 at the end of a balanced race. The match opened with a goal by Zizioli after a few minutes, which left the ball at the intersection of the poles. The draw was scored by Giuliano, who from outside the area, at 21 ', put the ball in the corner to the right of the goalkeeper. 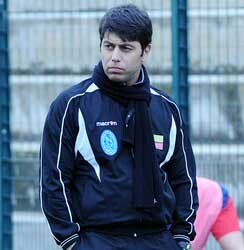 The challenge with Brescia scheduled at 15.30 in Ostia. The salute of the Naples captain, Paolo Cannavaro, through the attorney Fedele. Just a little more than 24 hours to the appointment with the story. The Napoli Carpisa Yamamay tomorrow at 15,30 will be busy at the Anco Marzio stadium in Ostia in the Women's Cup final for women's soccer against Brescia. For the company of Lello Carlino, born only eight years ago and back from a climb that culminated last month with the A1 series promotion, it is the first chance to win a trophy, just like it happened two weeks ago at the De Laurentiis Naples . The event is the same and all the experts hope that the result can also be similar. Tomorrow, during the Italian Cup final, which will be held in Ostia between Brescia and Napoli Carpisa Yamamay, Capri Events - www.caprievent.it -, via web, will broadcast the race with interviews, from the field, by Dusana Maksimovic and the extraordinary collaboration of the two press officers of the finalists, Fabio Cimmino (Brescia) and Carlo Zazzera (Naples). The Coppa Italia Brescia-Napoli Carpisa Yamamay final is scheduled for tomorrow, Saturday 2 June, at 15,30 at the Anco Marzio stadium in Rome. The delayed race will be broadcast by RaiSport on Monday 4 June at 16,40. 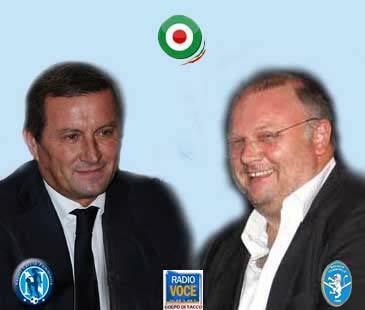 Five coaches from Naples to support the team on Saturday in the Coppa Italia final against Brescia. 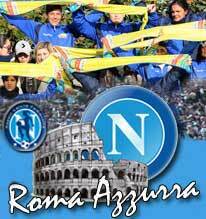 The presence of the supporters of the Naples clubs of Rome and Ostia is also planned. 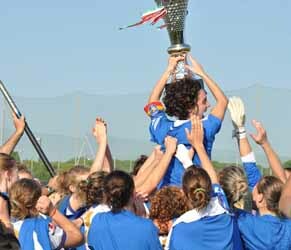 A blue tide will be poured into Rome on Saturday for the Women's Cup final for women's football, which will see Napoli Carpisa Yamamay and Brescia (15.30 hours) opposed. The Neapolitan society had made available to the fans two coaches for the trip to the Anco Marzio stadium in Ostia but the river of requests received in recent days has brought to five the number of buses that will leave Naples on Saturday morning, all free. 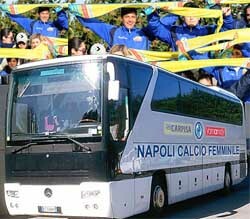 On the occasion of the Italian Cup final between Napoli Carpisa Yamamay and Brescia, scheduled for Saturday 2 June at 15.30 at the Anco Marzio stadium in Ostia, the Neapolitan company has made available a fourth bus for the fans who have already expressed their wish to support Naples Carpisa Yamamay closely. Anyone interested can contact the company on the official website or on the facebook page. Meanwhile, the Club Napoli of Rome and Ostia have also assured the presence at the stadium to support Napoli Carpisa Yamamay. Part of Carlino talking about the great feat of his Napoli against Torres: "I think the credit goes to my girls, this is the beauty of the feminine, and I congratulate Brescia because they make abnormal sacrifices to go ahead, so this is the right result and the merit of us society, but above all of these girls who make football the real passion, so really a final worthy of this name, especially from the point of view of the attachment to society, for this passion we have for real clean football. Ends in the worst way the season at the Graphistudio: after the disappointment of the lack of qualification in the Champions, the cold shower arrives even in the delicate Italian Cup semi-final that rewards Brescia, capable of deservingly win with the result of 1-2 the Municipal Tavagnacco . Graphistudio in the day not, while Brescia that perfectly recite the tactical canvas based on optimal coverage of the spaces, breakdowns and sudden flashes combined with a single cynicism in the door. Beginning of the race without exclusions of blows, with Brescia who after just four minutes lose Mori due to injury (hard blow on the exit on Brumana). Prepare your suitcases you go to Ostia. The Brescia targato Miro Keci in Cup format is perfect, and with a great team performance he beats home the battleship Tavagnacco. The formations that go on the pitch are those announced on the eve: Rossi lines up Riboldi instead of Bonetti, and Keci keeps Rosucci on the bench. After only 5 'minutes before tile for Brescia that has to replace Mori victim of a knee injury after a clash with Brumana launched to the network. The lionesses, however, prove to be concentrated at the right point and in the first minutes command the game thanks to an excellent lap-ball. And at 17 'it's already 1-0. The "cup queen" goes to the chair Daniela Sabatino, who receives a ball from Cernoia and punishes the home number with a spoon from outside the box. Historic success on penalties against Torres (9-8), great protagonist Elisa Lecce. 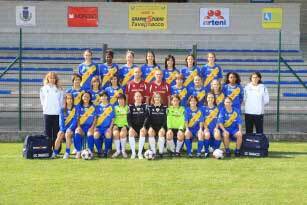 The team of President Carlino next Saturday in the final against Brescia. Napoli Carpisa Yamamay in the footsteps of Mazzarri's team. The formation of president Lello Carlino has obtained a historic success against Torres in the Italian Cup semi-final (9-8 on penalties, after the 2-2 in regular times). A victory obtained with great stubbornness, after the disadvantage (0-2) gained in the first hour of play. In the first half the Sardinian team took over the game and found the advantage after 20 minutes with Fuselli, able to stop and shoot in the penalty area. Napoli Carpisa Yamamay has had the merit not to be crushed, but at the beginning of the recovery Torres has found the doubling again with Fuselli.